BSA pioneer William "Green Bar Bill" Hillcourt (left) with Scouting founder Robert Baden-Powell in 1935. Be a part of BSA history while preserving and promoting BSA history. Youth and adult Scouting historians (or aspiring historians) are invited to attend the first-ever National Scouting Historian Summit this June at the Philmont Training Center in northern New Mexico. Anyone with an interest in the rich history of the Boy Scouts of America is welcome at the weeklong event, set for June 9 to 15, 2019. “Our job as Scouting historians is to impart our history in a relatable way to the Scouts of today, so that they, too, can understand that they are part of this storied program,” says Bill Topkis, the event’s lead adviser. Every BSA council, camp and Order of the Arrow lodge has a fascinating past. At the National Scouting Historian Summit, you’ll learn how to collect, protect and showcase that story. Within each theme, participants can choose from classes and electives that allow them to customize their experience. Fittingly, you’ll also get some quality, behind-the-scenes time at the new National Scouting Museum – Philmont Scout Ranch. Adults: Registration is open to all Scouters (adult volunteers). Whether you’re a beginner or expert, collector or academic, you’ll learn how to discover, assemble and tell the Scouting story. Youth: Registration is open to any Scout who will be 14 or older on June 15, 2019. Perhaps they enjoyed earning the Scouting Heritage merit badge. Maybe they’re a troop historian. Any Scout with an interest in Scouting history or collecting is invited. 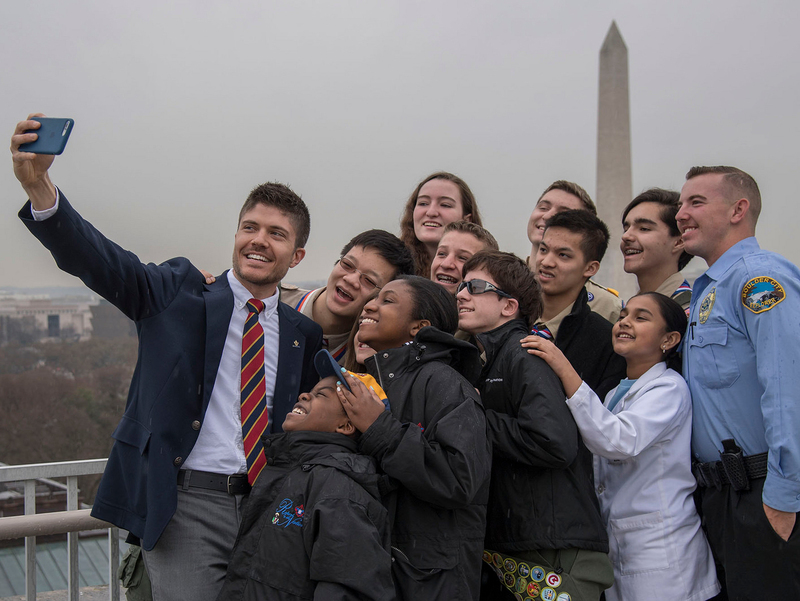 The National Scouting Historian Summit wants to develop the next generation of Scouting historians. That’s why a grant from The “Green Bar Bill” Hillcourt Foundation has enabled the National Scouting Historian Summit to offer registration to selected Scouts at a reduced price. Interested Scouts must submit their application by Feb. 15, 2019. Recipients will be notified by March 1, 2019. Philmont offers a range of exciting activities for spouses and children of Scouters — or parents and siblings of Scouts — attending training conferences. Learn more about Philmont’s family programs. The price includes everything except for transportation to and from the Philmont Training Center in Cimarron, N.M.
You’ll learn from experts in Scouting history. They’ll show you the rules, tools and strategies needed to be an effective Scouting historian. You’ll meet and network. Interact with more than 100 fellow Scouting historians and National Scouting Museum staff members. You’ll spend a week in the mountains. It’s hard to imagine a better setting for a conference than Philmont, nestled in the stunning Sangre de Cristo range of the Rocky Mountains. You’ll get exclusive access to the National Scouting Museum. The National Scouting Museum just opened in its new location at Philmont Scout Ranch, and you’ll get a behind-the-scenes look inside. You’ll get a patch. Registrants receive the patch below. To register or learn more, check out the National Scouting Historian Summit site.